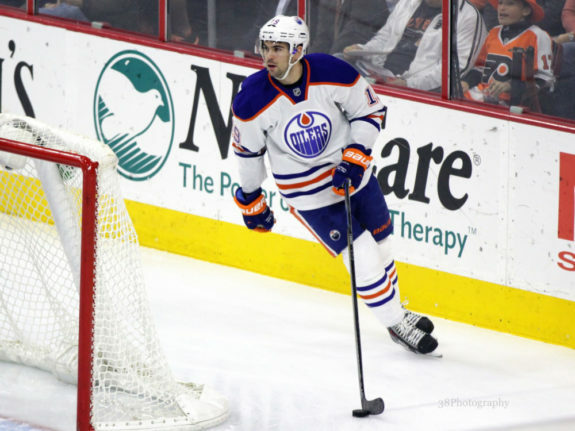 That was back in 2012, when Justin Schultz was one of the most highly sought-after players who had never played in the NHL. He was a free agent by virtue of not signing with the team that drafted him, and was coveted by just about every team in the league. He ended up choosing the Edmonton Oilers. He liked the idea of growing with a young team, and he would get plenty of playing time. As we all know, things didn’t quite work out the way that anyone had hoped. Now, Schultz is a Stanley Cup champion and making his first return to Edmonton since being traded last season. 2012-2016 weren’t exactly banner years for the Edmonton Oilers franchise, and most of the players on those teams faced some difficult times. But perhaps none more than Schultz, who went from being a hopeful number-one defenceman to the fans’ whipping boy. Can’t help but love the fact that Justin Schultz is living up to his potential in Pittsburgh. But keep in mind that Schultz picked the Oilers out of what seemed like plenty of possibilities, and teams in much better positions. He wanted to be a part of something, to prove himself, to help a team in the midst of tough times, and that shows what kind of guy he is. However, he was far from a fan favorite during his time in Edmonton. Let’s face it. Schultz, like many Oilers gone before him, was never put in a position to succeed. He was given too many minutes, he was thrust into a role that was above his head, and he wasn’t adequately developed to prosper under those conditions. The onus is first and foremost on the player, and maybe he was assumed better than he actually is, but he lost his confidence early on, and never recovered. 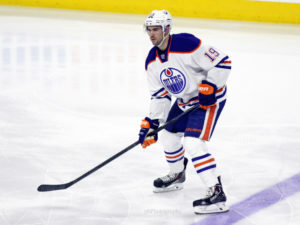 The team that surrounded Justin Schultz in Edmonton wasn’t good, the management wasn’t good, and he was never going to figure it out in that environment. The Oilers mercifully traded him to the Pittsburgh Penguins, a deal that many believed was a win for Edmonton. But oh, how things change. Not only was Schultz an important part of the Penguins’ Stanley Cup run, he’s now relied upon to play big minutes in the wake of numerous injuries on the blue line. So what was the difference? First of all, he went to a team that didn’t need him to be “the guy.” The Penguins are an experienced, veteran group with a lot of depth. He was able to come in, play behind guys, and be somewhat sheltered as he worked to find his game. That sure sounds like the guy that most of the league tried to sign when he was a free agent. But make no mistake. Schultz isn’t perfect. There are still some warts in his game, and some miscues every now and then. That’s not the norm though. His ability on both sides of the puck is what shines brightest now. Schultz got used to hearing the boos when he played for the Oilers. The question is, what will he hear when he returns for the first time as a member of the opposition? Schultz has 12 goals and 45 points on the year, and is a plus-28. Among NHL defencemen, only Brent Burns has more points since Nov. 30 than Schultz does. While playing for the Oilers, Schultz was a perennial minus player and never topped 33 points in a season. A new environment can do wonders for a player. He’s not going to win the Norris this season by any means, but he’s turned himself into an important player. He went to the perfect place for his situation, and thus far, it’s worked out. Confidence is a tricky thing in sports. It can render good players ineffective, and decent players great. Schultz is everything the Penguins need him to be. He wasn’t going to be that for the Oilers. Rebuilding teams often see good talent go to waste. Both teams are in the playoffs and having success, and that’s what matters now, especially for the Oilers. Hopefully the fans give him a nice welcome, or a least a little more positive than the last time he was on Edmonton soil.